At 18Karat, we are proud to have an amazing studio where we can create new and original pieces every day, but are also exceptionally proud of our gallery. Our store features rotating exhibitions of lovely pieces by Canadian artist from coast to coast. To highlight the amazing talent that we have in the gallery we will be featuring one of our artist every month. 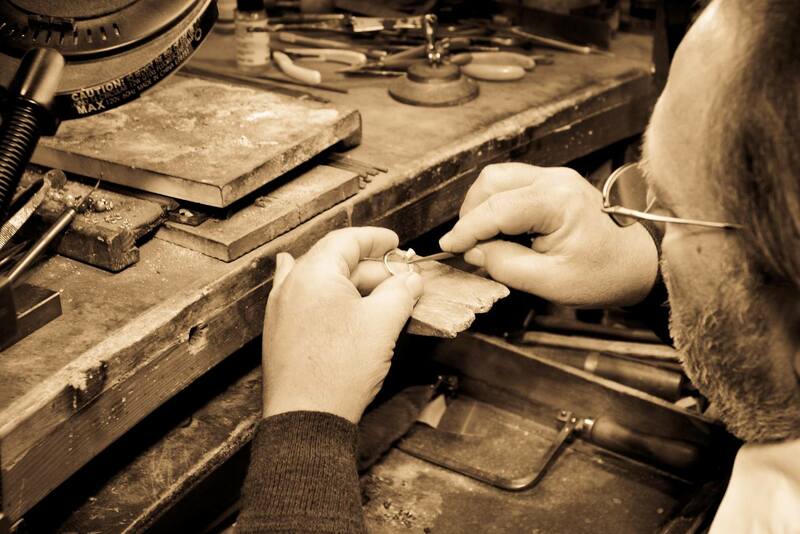 This month starting with our very own master goldsmith Dino Giannetti. At the age of 14 years old, Dino grew a passion for goldsmithing from working alongside his father, Tullio, who became a master goldsmith after emigrating from Italy in 1950. His passion became so apparent at the age of 16, that he went to Italy to apprenticed under another master goldsmith, Armando Ruggeri. With all the knowledge bestowed upon him by Armando, Dino returned to Canada to turn their home-based jewellery business into a store. Many people were skeptical at first in trusting a child with their jewellery requests, it didn't take long for their clients to understand that Dino's talent was that of a true craftsman. The Natura Ring - a masterpiece in miniature. The majority of jewellery is created using computer-aided design programs to create digital models that are then created in 3D. It guarantees a precision and detail, but lacks the artistry of the human hand. This ring, like the majority of Dino Giannetti's creations, was hand-carved in wax - yet it's precision rivals that of any CAD program. Every angle refined. Dino was inspired by the architectural and organic pattens that are often seen together in public spaces - a vine growing along an iron support. Natura is a one of a kind sculptural ring featuring a pyramidal Lepidocrocite. This ring won the 2012 Award Winning Excellence in Design. 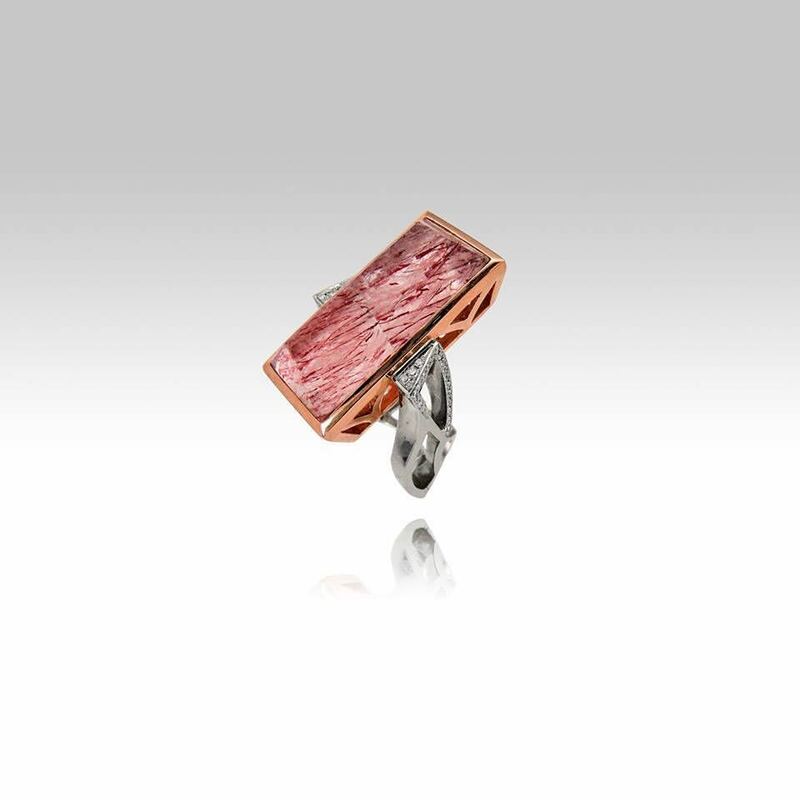 DESCRIPTION 18k rose and white gold Diamonds Lepidocrocite For more examples of Dino's work, visit Dino Giannetti under CANADIAN ARTISTS menu.